Fortis is becoming well know as among the mining industry for designing and fabricating specialized equipment for mines across Saskatchewan, North America and the world. Fortis was commissioned to install power distribution cables down two 8” boreholes 500 + Meters deep. These cables feed an underground substation in a mine. 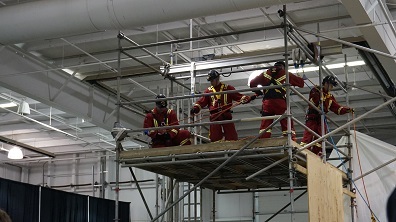 We designed specialized equipment to accomplish this task. 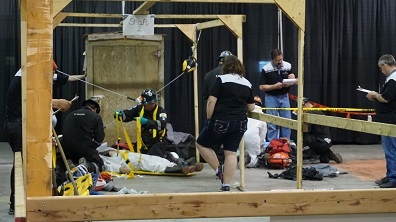 One of the items required was a sheave stand. The cable bending radius’s had to be carefully accommodated. Also a suspended load capability of 30,000 lbs had to be incorporated into the equipment design. 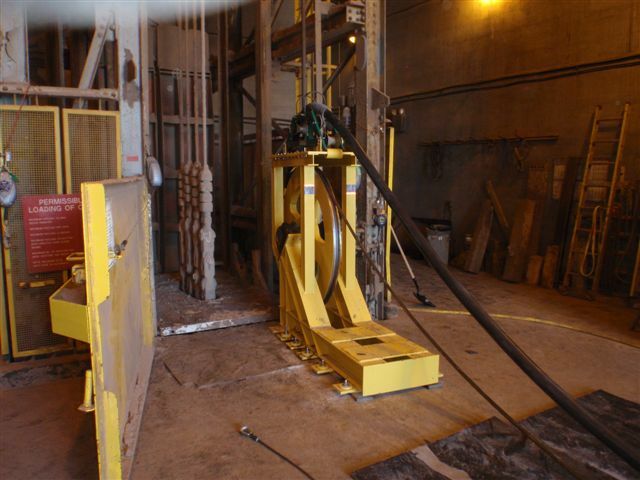 As a result Fortis designed and built a wire rope sheave stand assembly to perform the task. See picture below. The job went very well, it was completed safely and ahead of schedule. Fortis continues to provide innovative solutions for technical challenges in the Mining industry. Visit our Mining Projects Webpage for more examples great examples of recent projects Fortis has successfully completed in the Mining industry.